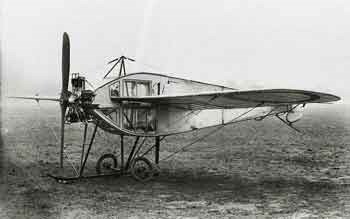 Powered by a 35 hp Viele five cylinder radial engine, the Avro Type F, flown by Wilfred Parke, took off from Brooklands on 1 May 1912. 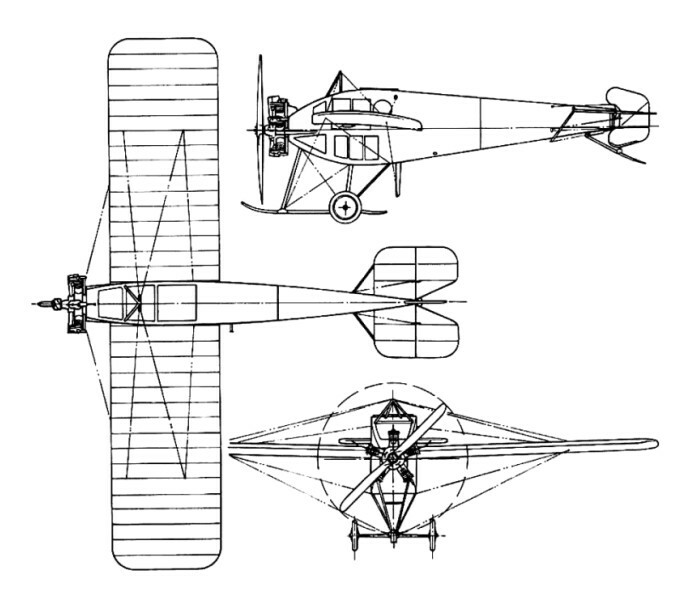 This was the first flight in the world of an aircraft with a completely enclosed cockpit. The 2 ft (0.61m) wide fuselage was deep enough for the pilot to be totally enclosed. Lateral control was by wing warping. Over the next few days a number of successful test flights were carried out, but then on 25 May, when the aircraft was due to appear at Hendon for flight tests, the engine failed on takeoff, and the aircraft hit a fence on crash landing. It was dismantled and repaired but stayed in the hanger until September, when R.H.Barnwell took it out for a test flight. Once again the aircraft performed well, but on landing the front skid broke and the aircraft flipped over on to its back, causing considerable damage. The damage was extensive and beyond economical repair, so the Avro Type F was scrapped.